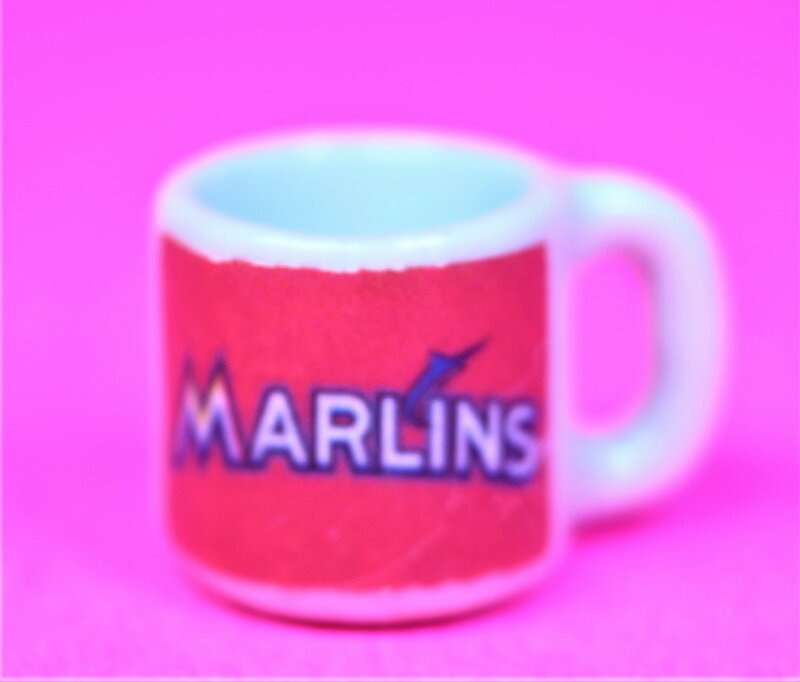 Dollhouse Miniature replica of a souvenir mug with a sign on it. The mug is 1/2" tall. The mug is white ceramic.